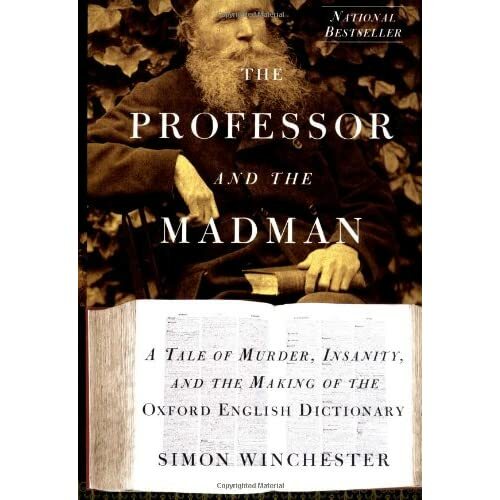 I love The Professor and the Madman, and I love the OED. I have the edition your father has! I bought it when I was 21, and it has served me faithfully. I'm trying to find the recipe and instructions for your chocolate molds. I bought the chocolate never faileth book but can't find anything about making the chocolates. Can't wait to try them! I stumbled upon your blog this morning and have to comment on your use of the OED to verify historical usage. I am glad that Shakespeare did not have such habits, or Julius Caesar would have been written entirely in Latin. Certainly, none of the characters in that play would have used any English words. Of course, it would be ludicrous to hear Lincoln describe the end of the civil war as "groovy". And, if Sigmund Freud were to respond to a patient with the phrases "OMG" or "TMI" it would, certainly, sound unauthentic. But, I think it is safe to say that if you need the OED to ensure that a word is historically accurate, you could safely use it without creating confusion. Remember, you're writing in the vernacular. An extreme example is the film, A Knight's Tale. The movie uses devices from our time to create a context that makes the story accessible to its audience. Of course, it's ridiculous to see a knight's supporters with their heroes crest painted on their faces like an NFL fanatic. But, it was a humorous device and made the point it was intended to make. So, I would say that if the inaccuracy is undetectable to your reader, ignore it. While I see your point, that's not quite what I meant. For example, a good friend of mine, Sarah M. Eden, writes Regency romances. If she were to keep all of the language in her books entirely accurate, it would be harder to access for today's reader, so she lightens it up a bit with somewhat more modern usage. YET she's careful to make sure that vernacular, fashion, food, technology, and so forth are absolutely accurate to the period. Readers expect to be given accuracy on those things, and when I was writing historicals, it was important to me to be as accurate as I could. As far as language, it mostly meant checking to see if a word had entered the lexicon by the year the story was set in--so not using "groovy" in the 1800s, using your example. That said, some stories work with--and even because of--the inaccuracies, such as A Knight's Tale. That's one of my all-time favorite movies, and it's filled with inaccuracies. It works because it's totally open with that fact and never pretends otherwise.